Any scientific knowledge has to be supported by a rational explanation of biophysical phenomena. 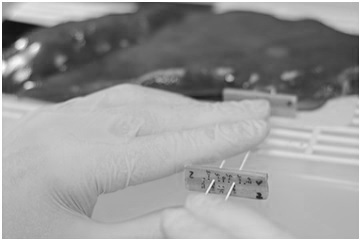 For this reason, we conduct studies using complementary methodologies, such as mathematical modeling, phantom-based models, ex vivo and in vivo models, and clinical trials. Mathematical models to study ablative techniques based on energy use equations which model well-known physical phenomena. Usually, these models are based on the transient analysis of electrical and thermal coupled problem. In particular, the spatial distribution of temperature is obtained from the equation of heat transfer in biological tissues proposed by Pennes (1948) called Bioheat equation. The Bioheat equation has a term which refers to the energy source. For radiofrequency ablation (300 kHz-1 MHz), the term distributed heat source, also called SAR (specific absortion rate) are obtained from the Laplace equation. In the case of laser ablation the Lambert-Beer law is used to model the internal heat source in tissue during a laser ablation. Some theoretical models can be solved analytically, but a complex geometry and the non-linear formulation of the problem including different electrical and thermal phenomena brings complexity to the models and a numerical approach using Finite Element Method (FEM) or Finite Difference Method with computer simulations is needed to solve them. Specifically, we used COMSOL Multiphysics software. Progress of temperature distributions in neural tissue during Pulsed Radiofrequency (PRF) procedure (60-minutes, 20 ms pulse width, 2 Hz repetition frequency). Phantom-based models can under some circumstances mimics the physical characteristics of some biological tissues undergone to energy-based ablative therapies. They are made of different materials (agar for instance). In general this type of models allow obtain experimental conditions much more reproducible than ex vivo or in vivo models. The main disadvantage of the agar is the low melting point, which impedes to model the behavior of the tissue at high temperatures and hence to assess phenomena such as carbonization. We have used agar phantom models to mimic the cardiac tissue during studies of radiofrequency catheter ablation [1-3]. Very thin thermocouples are accurately placed in specific points of the agar, and then the temperature progress measured at those points is recorded. These data can be compared to temperature computed from mathematical models in order to validate the theoretical models. Ex vivo models are based on excised tissue fragments (obtained after slaughter and kept until use). It is an easy and low cost option compared to in vivo models. For instance, in the case of radiofrequency ablation, the thermal effect caused by the ablative technique (white coagulation, collagen shrinkage, and carbonization) can noticed simply di visu. In others cases, such as radiofrequency heating of the cornea for refractive surgery, histological analysis is required. Studies using ex vivo models are actually a bench tests prior to conduct pre-clinical research based on in vivo models. The results from these studies can be sometimes useful to validate somehow mathematical models, for instance by comparing the thermal lesion boundaries obtained from experiments to the temperature distributions computed from mathematical models. We have used ex vivo models of hepatic tissue to study ablative techniques in RF ablation  and RF-assisted surgical resection . We are currently using hepatic tissue (see picture) to study the thermal lesions created after application of bipolar Pulsed Radiofrequency (PRF) using a couple of metallic needles. Once mathematical, agar phantom and ex vivo models have been efficiently used in bench tests, in vivo modeling allows to study the ablative techniques in a scenario very similar to that found in the clinical stage. In fact, some characteristics of the biological tissues cannot be well modeled with agar phantoms or ex vivo tissue, such as the heat loss caused by the cooling effect of blood perfusion during hepatic RF ablation. If the in vivo studies are properly conducted, they can provide evidence about the performance of new devices designed for ablative therapies based on energy, and hence can be the first step to conduct further clinical trials. We have used in vivo models to assess the performance and safety of new medical devices in RF-assisted surgical resection (liver , kidney  and pancreas ), and in RF tumor ablation [9,10]. The results from the in vivo studies can provide evidence about the performance of new devices designed for ablative therapies based on energy. The clinical safety of these devices can be demonstrated by means of clinical trials. 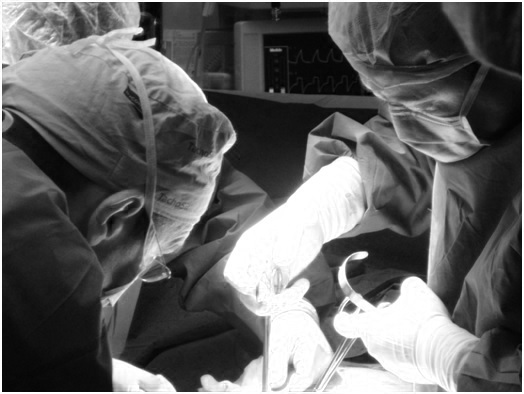 We have conducted a clinical trial of a new RF-based medical device to coagulate and cut the hepatic tissue during surgical resection . Lequerica JL, et al. Reliability assessment of a cooled intraesophageal balloon to prevent thermal injury during RF cardiac ablation: an agar phantom study. J Cardiovasc Electrophysiol. 2008 Nov;19(11):1188-93. Lequerica JL, et al. A cooled water-irrigated intraesophageal balloon to prevent thermal injury during cardiac ablation: experimental study based on an agar phantom. Phys Med Biol. 2008 Feb 21;53(4):N25-34. Rodríguez I, et al. Esophageal temperature monitoring during radiofrequency catheter ablation: experimental study based on an agar phantom model. Physiol Meas. 2007 May;28(5):453-63. Burdío F, et al. CT mapping of saline distribution after infusion of saline into the liver in an ex vivo animal model. How much tissue is actually infused in an image-guided procedure? Phys Med. 2013 Mar;29(2):188-95. González-Suárez A, et al. Feasibility study of an internally cooled bipolar applicator for RF coagulation of hepatic tissue: experimental and computational study. Int J Hyperthermia. 2012;28(7):663-73. Navarro A, et al. Laparoscopic blood-saving liver resection using a new radiofrequency-assisted device: preliminary report of an in vivo study with pig liver. Surg Endosc. 2008 May;22(5):1384-91. Ríos JS, et al. Single instrument for hemostatic control in laparoscopic partial nephrectomy in a porcine model without renal vascular clamping. J Endourol. 2011 Jun;25(6):1005-11. Dorcaratto D, et al. Radiofrequency is a secure and effective method for pancreatic transection in laparoscopic distal pancreatectomy: results of a randomized, controlled trial in an experimental model. Surg Endosc. 2013 Oct;27(10):3710-9. Burdío F, et al. Distant infusion of saline may enlarge coagulation volume during radiofrequency ablation of liver tissue using cool-tip electrodes without impairing predictability. AJR Am J Roentgenol. 2011 Jun;196(6):W837-43. Trujillo M, et al. Can electroporation previous to radiofrequency hepatic ablation enlarge thermal lesion size? A feasibility study based on theoretical modelling and in vivo experiments. Int J Hyperthermia. 2013 May;29(3):211-8. Burdío F, et al. A new single-instrument technique for parenchyma division and hemostasis in liver resection: a clinical feasibility study. Am J Surg. 2010 Dec;200(6):e75-80.